We’re a Melbourne based social media agency with the technical and creative expertise to amplify and execute your message on the channels your customers are actively using. With more than 15 million active Australian users social media has become an essential part of every successful brand’s marketing strategy. Our team of social media specialists have the technical and creative expertise to execute and amplify your message, building effective, long-lasting brand awareness and driving leads. I reached out to Balmer Agency to launch my new business venture, and they have been instrumental in launching and marketing uTenant. I have felt as though their team is part of my own team, as they are great collaborators, seamlessly sharing their knowledge and marketing expertise for uTenant exactly as I envisaged. I would highly recommend Balmer Agency to anyone wanting marketing and communications services with friendly support and professional advice. Balmer Agency have been our trusted online advisors for over three years, providing high quality consulting services and operational solutions in a time when our organisation experienced rapid change and growth. The Balmer team provides detail support and skill on web direction, mobile applications, social media and design. 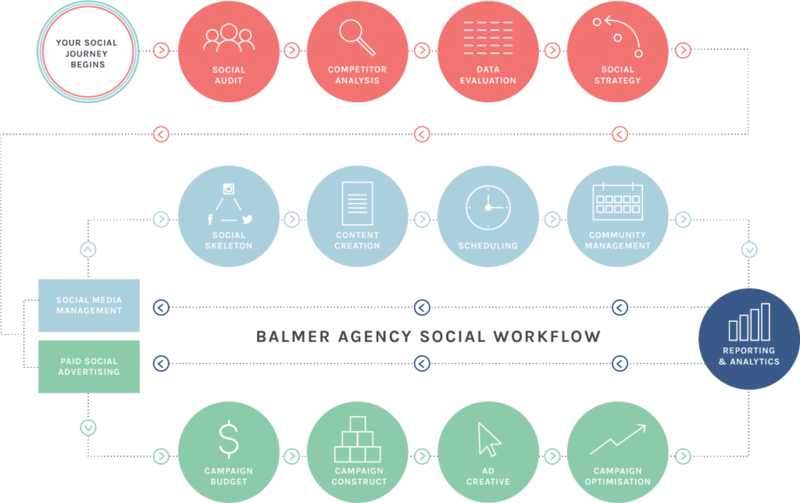 Balmer Agency has helped us implement marketing initiatives that have transformed a number of our business processes, delivering efficiencies across the board. The team have been easy and fun to work with, and their assistance in localising our global marketing assets to support our region has been invaluable. We look forward to a continued partnership with them. FEC has been working with Balmer for 6-months and the results have been well above our expectations. We have increased our social media audience by 74%, website traffic by 183.15% and achieved an avg. of 92 enquires per month. We absolutely see Balmer as an extension to our marketing team!